On March 18, 2017, Clarence was driving east on North Boundary Road in Queens, New York. As he approached the entrance to his employee parking lot at JFK airport, a car exiting Nassau Expressway failed to yield to Clarence. Instead the vehicle accelerated, cutting in front of Clarence and causing a collision. As a result, the airbags deployed in Clarence’s car and he suffered head trauma with the window. He also injured both arms, his back, neck, legs and the right side of his body. After he attempted getting out of his car and could not, he quickly called 911. Clarence was transported by ambulance to Elmhurst Hospital, where he was evaluated and was admitted for two weeks. Due to the accident, Clarence experienced constant neck pain radiating to the right upper extremity that was associated with weakness, numbness, and tingling sensation he felt on his right arm. To help alleviate his neck pain, Clarence underwent spine surgery (Anterior Cervical Discectomy and Fusion ACDF). He also suffered headaches, dizziness and sensation of nervousness and anxiety since the date of the accident. Thanks to a recommendation from a friend (and a past client of ours), Clarence chose to join The Case Handler team! While he was still in the hospital, we started our investigation and helped deal with his damaged vehicle that was towed away. 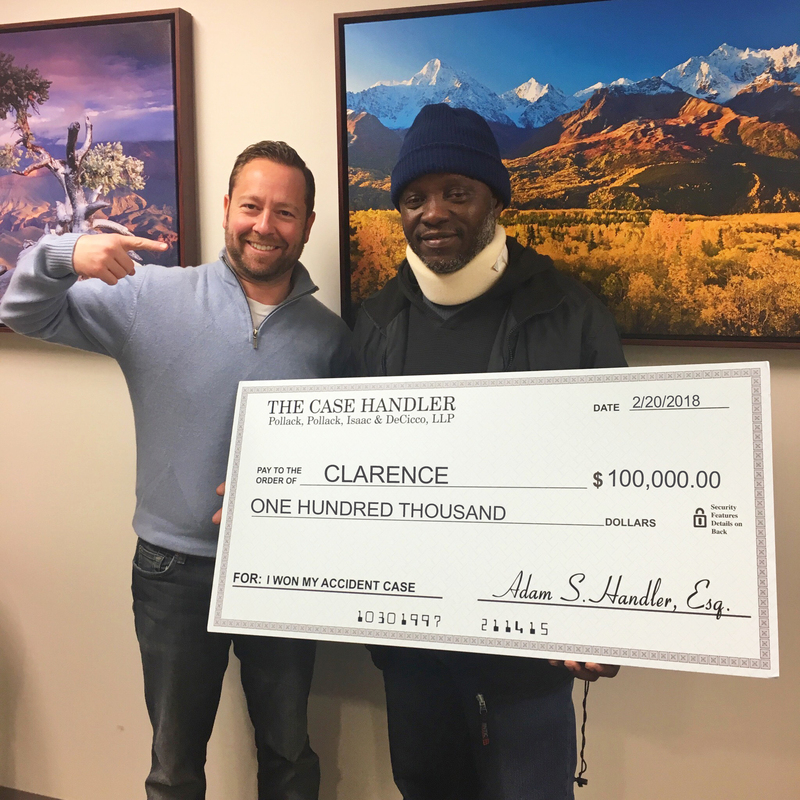 With the help of The Case Handler team, we successfully assisted Clarence in recovering the maximum policy limit of $100,000.00!